Total books for the year: 93 of 90. It’s New Year’s Eve and Hogmanay! I do more introverting than partying when bringing in the New Year, so I’m trying to decide what my first book of the year should be. See below for my choices, pick the one you think I should read, and then I’ll post a pic of the winner on my Instagram and Litsy. Seasons of Reading is having their annual Winter’s Respite Readathon, and I decided to sign up! The “rules” are simple: all books (novels or novellas) that count must be read between 12:00 am Central Time on January 1 and 11:59 pm Central Time on January 31, and you have to post a sign-up and wrap-up somewhere online in order to be considered for the prize, but that’s it. As with all of the readathons I do, regardless of whether or not it’s required, I create a TBR. For this one, it will be the books on my “Hygge” shelf on Goodreads. In tomorrow’s “Monday’s Minutes” post, there will be a poll to help me choose my first book of the new year, so be sure to stop by to vote! Are you participating in the Winter’s Respite Readathon? What books are you planning to read in January? Leave a comment below! Published on December 29, 2018 December 28, 2018 by Rachelle J. This is the last “Down the TBR Hole” post of 2018! My TBR pile is down three to 687 books. Gods and Mortals by various authors – KEEP. This is a set of 14 ebooks I got as a freebie at some point. I figure at least one of the books has to be good, so I’ll keep it on my Kindle for now. Confliction Compendium by M.R. Mathias- GO. This is the first 3 books in the “Dragoneers Saga” along with a few short stories. I looked up the synopsis for the 1st book in the series, The Royal Dragoneers, and I was not impressed. The End of Innocence by Stephanie Baumgartner – KEEP. This is a story about a young woman who goes to Germany pre-WWII to help her aunt in a library. I’m very interested in reading it since it’s not often that I come across a book depicting events in Germany leading up to WWII. A story involving a library is a bonus. Firemancer Collection by Rachel M. Humphrey-D’aigle – KEEP. This is a Middle-Grade Fantasy omnibus containing the first 3 books in the “Fated Saga” series. I’m adding it to my Summer reading list. The Girls From Alcyone by Cary Caffrey – GO. I don’t know where I got this ebook, but I suspect it was a freebie that I got just because it’s Sci-Fi. The synopsis sounds like it’s bad Sci-Fi, so Goodbye. My to-read shelf is down to 685 books!!! I didn’t think I could do it. There are still a couple of days before New Year’s, and my goal for 2019 is to whittle the mountain down to 625. I better get started! This check-in is for December 21st – 27th. This is the last Fit Readers check-in I’ll be doing this year, but I will be continuing to post check-ins every Friday in 2019. Published on December 24, 2018 December 21, 2018 by Rachelle J. Total books for the year: 91 of 90. Since tomorrow is Christmas, Merry Christmas and Happy Holidays! I’m in Arizona right now, visiting some of the Boyfriend’s family. I’ll be back in time for the last “Down the TBR Hole” post of the year, but as soon as this post goes live, I’m taking a break from the internet. Published on December 22, 2018 December 21, 2018 by Rachelle J. My TBR pile is down to 692. My TBR goal for the remainder of the year is 690. With only one more “Down the TBR Hole” posts for 2018, it might be a close call unless I finish reading 2 more books. This is the Night by Jonah C. Sirott – KEEP. I don’t remember when or why I got this ebook, but the synopsis sounds like it might be an interesting read so I’ll keep it for now. The Girl from Krakow by Alex Rosenberg- GO. I’m pretty sure this was a freebie. I got it based on the assumption that it had to do with WWII. While a large part of it does, I can’t get past the line in the synopsis, “…Rita is armed with a secret so enormous that it could cost the Allies everything, even as it gives her the will to live.” I just don’t find that plausible at all. Even worse, the book is explained again in the author’s bio, but this time as a “thriller” and mentions the main character’s “lover.” Nope. Can’t do it. Sleepless by Michael Omer – KEEP. This book will either be absolutely horrible or totally awesome. I am determined to find out, probably next October. The Einstein Prophecy by Robert Masello – GO. The synopsis makes this book sound like The Da Vinci Code minus the religious aspects. Just No. Sit. Stay. Heal. by Spike Gillespie – KEEP. Spike Gillespie is from Austin, Texas, and if I remember correctly, I came across her and her book on Twitter. 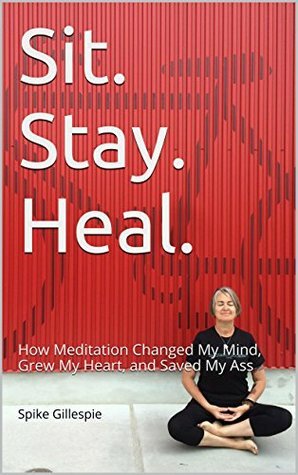 As someone who has suffered from mental illness, I look forward to reading what she has to say. My to-read shelf is down to 690 books!!! Yay, I did it!!! I’m not going to dare to try to get it down to 685 by New Year’s Day, but there is one more “Down the TBR Hole” post before then, and I’m on vacation. Let’s see if I can knock a few more off the mountain before the end of the year. Published on December 21, 2018 by Rachelle J. This check-in is for December 14th – 20th. It was another busy week, and today will be just as busy since I’m wrapping up work to start Winter Closure and also packing for my trip to Arizona. Published on December 17, 2018 by Rachelle J. Total books for the year: 89 of 90. Only 1 more book to go to reach my reading goal for the year! With this Friday being my last day of work until January, I don’t think I’ll have a problem finishing at least 1 of my 3 current reads, and I’m still planning on re-reading A Christmas Carol by Charles Dickens. Published on December 15, 2018 by Rachelle J. My TBR pile is down to 694. My new TBR goal for the remainder of the year is 690. It’s looking more and more achievable as I finish books and start new ones. I’m nearly done with Christmas with Anne by L.M. Montgomery, and I’m planning to finish it before the end of the day. So let’s see where I end up with this week’s trip down the TBR hole. 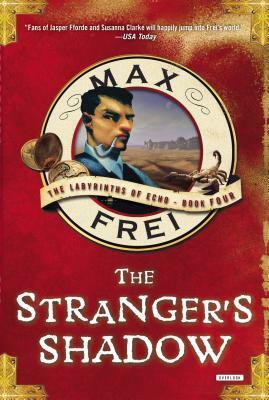 The Stranger’s Magic and The Stranger’s Shadow by Max Frei – KEEP. I put these two together since they’re the 3rd and 4th book of a series I love. There’s no way I would get rid of these and never find out what happens to The Unequaled Sir Max. Harmony Black by Craig Schaefer- GO. The synopsis makes it abundantly clear that this is yet another formulaic Paranormal Romance. No, thank you. The Holly Tree by Charles Dickens – KEEP. I’m hoping I’ll have time to read this before the end of the month. Geek Anthropology of Loki’s Army by Pepi Valderrama – KEEP. This probably won’t be nearly as interesting as I thought when I got it, but I’m still willing to give it a chance. The Priest Hole by Amy Cross – KEEP. This is another one that probably won’t be as good as I originally thought it would be when I got it. Like the book above, it was a freebie, and the title was what caught my interest. My to-read shelf is down to 693 books. I think I can knock off or read 3 books by the end of 2018; especially since Friday is my last day of work until January 3rd. This check-in is for December 7th – 13th. My step count and miles are down this week thanks to having difficulty sleeping at night and feeling tired all day.